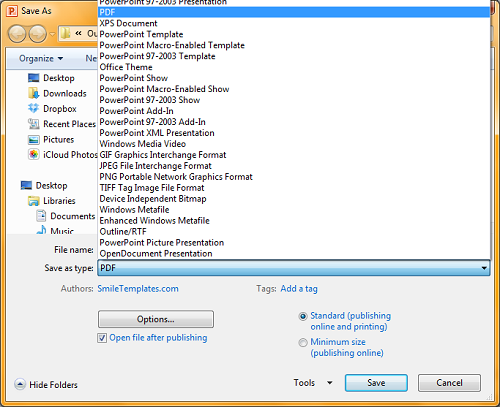 Once you presentation is finished and ready to go, you can easily save it as a PDF using the built in functions of PowerPoint 2007 and later. 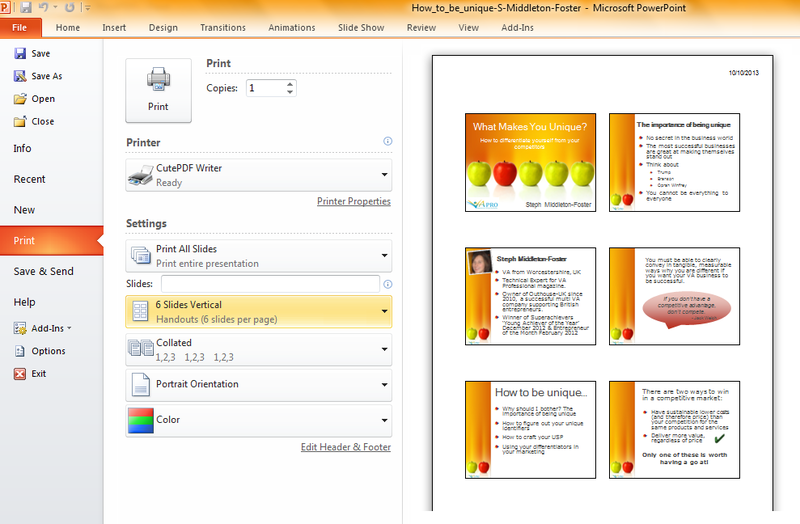 This method will save your entire presentation as a PDF with one full size slide per page. Then in the box underneath ‘file name’ you will see a drop down box called ‘save as type‘ from here select click PDF (*.pdf). 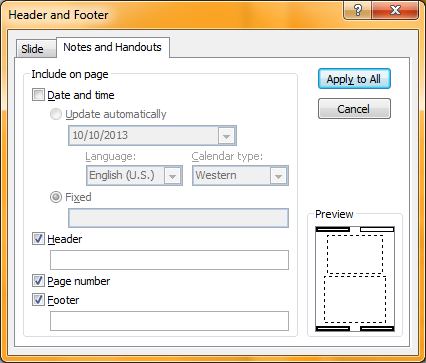 Click OK and your PDF will be created. If you have chosen to open it after saving then your PDF will be displayed after a couple of seconds. 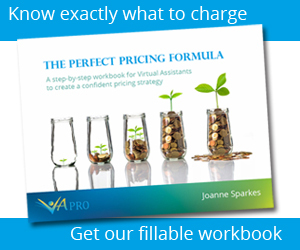 If you have a PDF printer on your computer then this is an easy alternative to saving as a PDF – although you will get slightly different results than using the ‘save as’ option (it will look as if the slides have been printed onto a page rather than filling the whole screen). 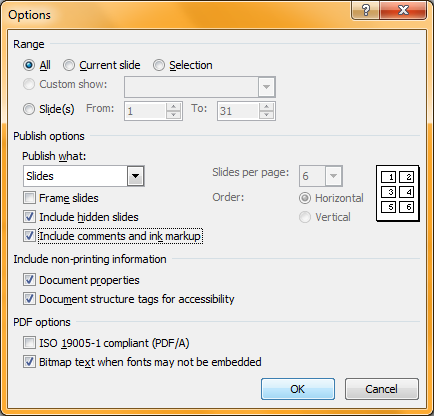 Set your other print options as usual – you can choose how many slides to print per page, whether to print all slides or just selected ones and set the page orientation etc. When you are done click ‘print’ and that’s all there is to it! Next articleNeed help finding your next blog topic idea?